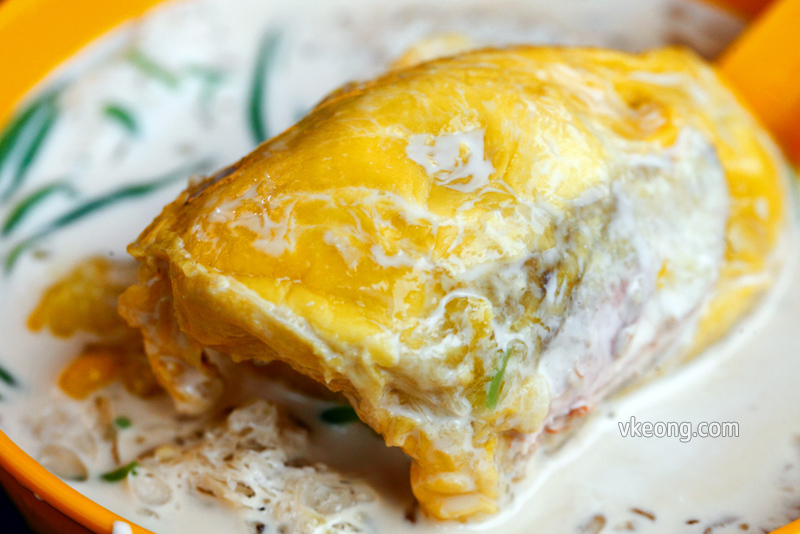 We are not at the peak season of durian yet, but the fever for the King of the Fruits is hotter more than ever now. 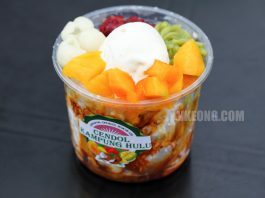 Durian cendol is not a new thing in Malaysia but a rojak & cendol stall in Shah Alam decided to take it it further by adding real and fresh durian fruits (never frozen) in their cendol. 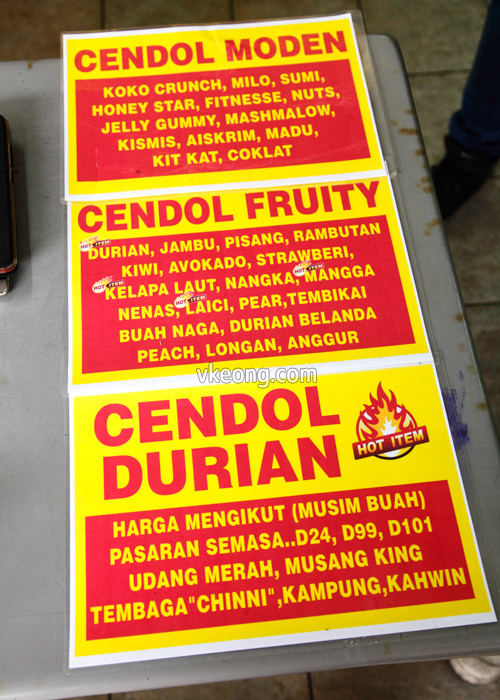 So essentially it’s not durian cendol. 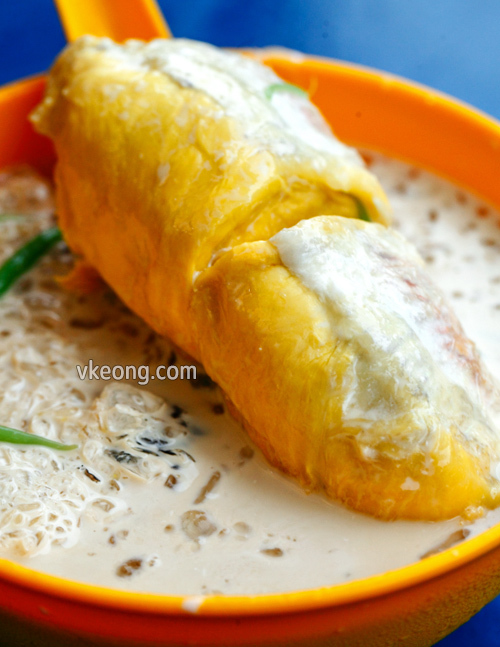 Instead, it’s durian in cendol. 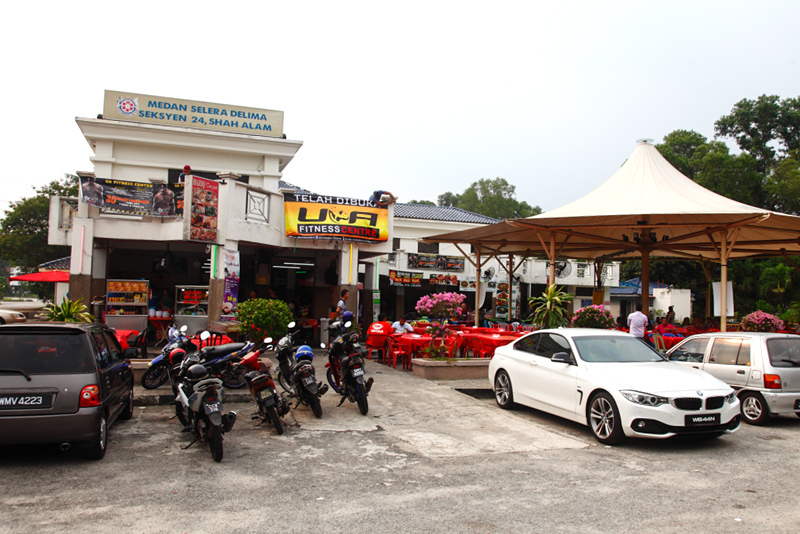 The whole idea is the brainchild of Mohd Hafez Hamed, who decided to include durian into his already extensive range of cendol flavors. 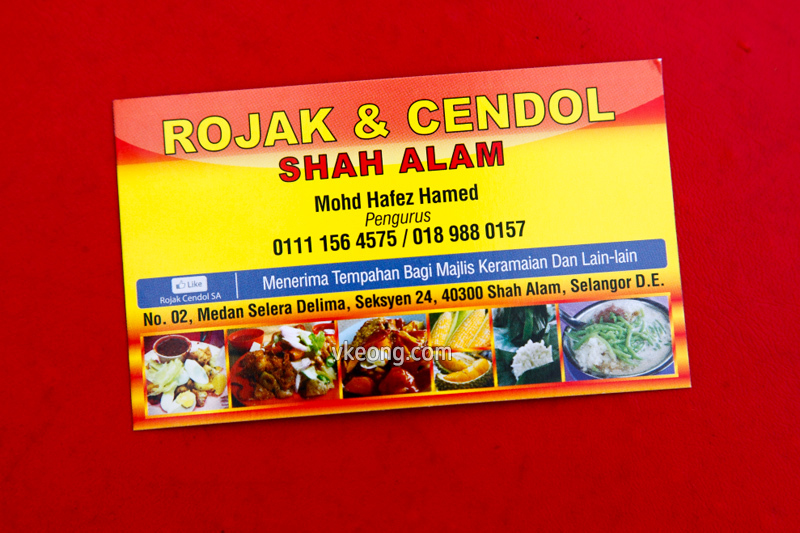 If you don’t know yet, he offers more than a hundred types of cendol at his humble stall! Since local durians are not that matured yet, he’s now using ‘Tembaga Chinni‘ from Thailand, known for its golden creamy flesh and sweet flavor. 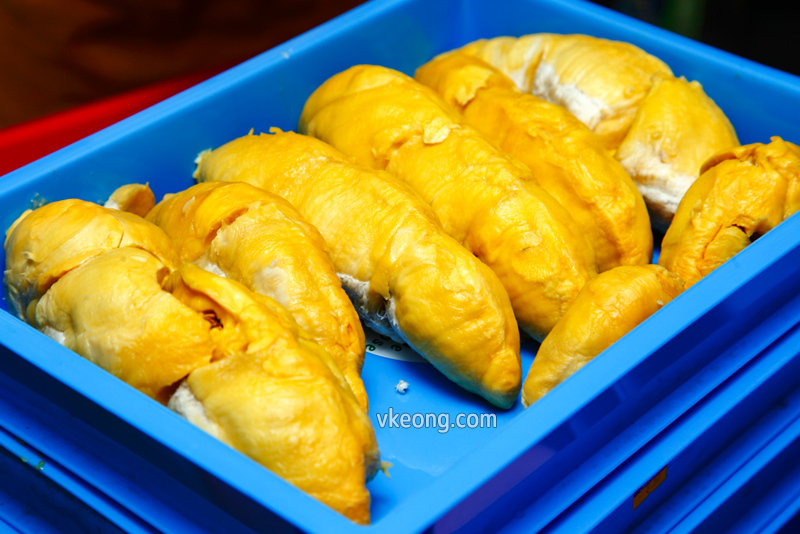 Rest assured though, that when the Musang King and D24 durians start to flood the local market, you’d be able to see them on the menu as well. 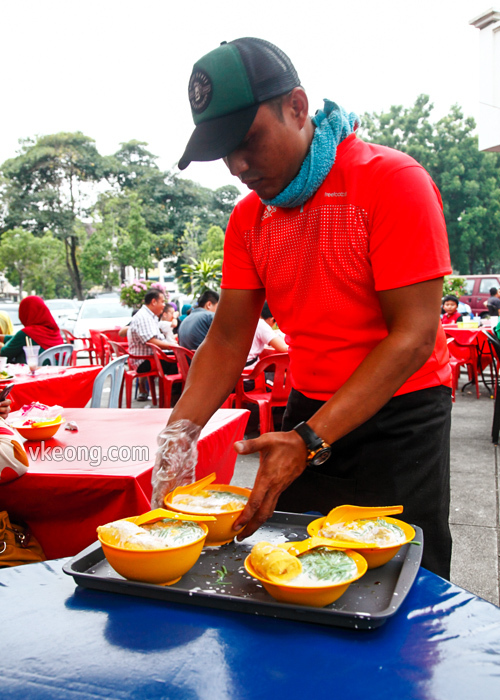 The prices for his durian cendol fluctuates based on the pricing of his durian stock which he gets on a daily basis. From what I was told, he uses up to 300kg of durian a day, so that’s 6 tonnes every month. 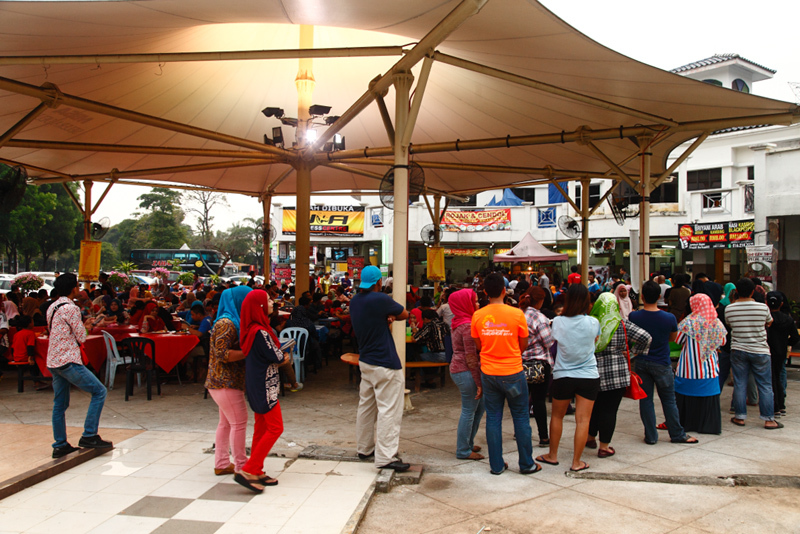 During our visit, a bowl could be RM10 or RM12, the difference is the amount of durian that goes into it. If you love durian, then an extra RM2 is worth paying for because the difference is quite significant. After placing your order at the counter and paying for it, you will be assigned a number. Then the staff will deliver your orders by shouting out your number. Simply grab his attention when you hear your number being called out. Taste wise, I’d say that cendol is already good on its own. 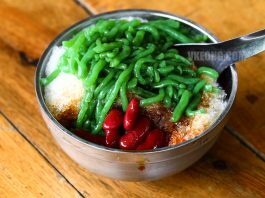 It has pretty much everything you want in it – decent Gula Melaka flavor, fresh cendol ‘worms’ with a rich coconut milk aroma. So the durian would be just icing on the cake. I used to sell durians so I am quite nitpicky when it comes to them. 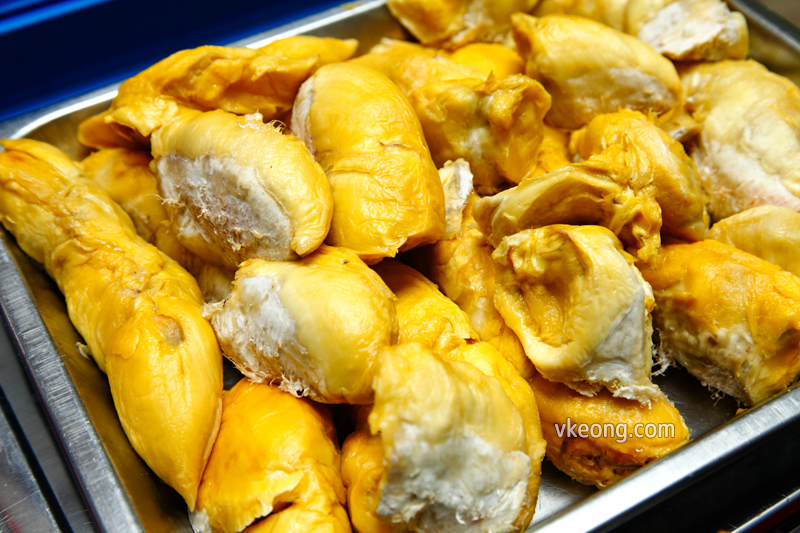 For a Thai durian, the quality is great and I could tell that they are more “natural” in the sense that they don’t appear to be ripened artificially with chemicals. 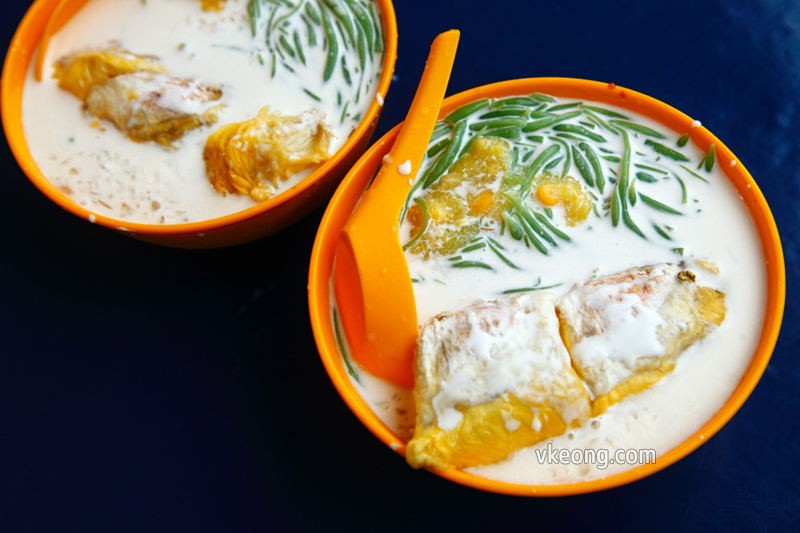 And of course local durians such as Musang King/D24/Red Prawn will triumph the ‘Tembaga Chinni’ on any day – so you could only expect the cendol to taste even better when they start dropping in large quantities. Lastly, my advice to you is to arrive by 5.30pm if you don’t want to end up queing for hours. This was how the queue looked like before I left. 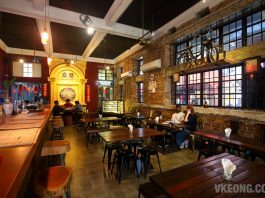 FYI they are open tomorrow (2nd May 2016) even though it’s their usual off day. 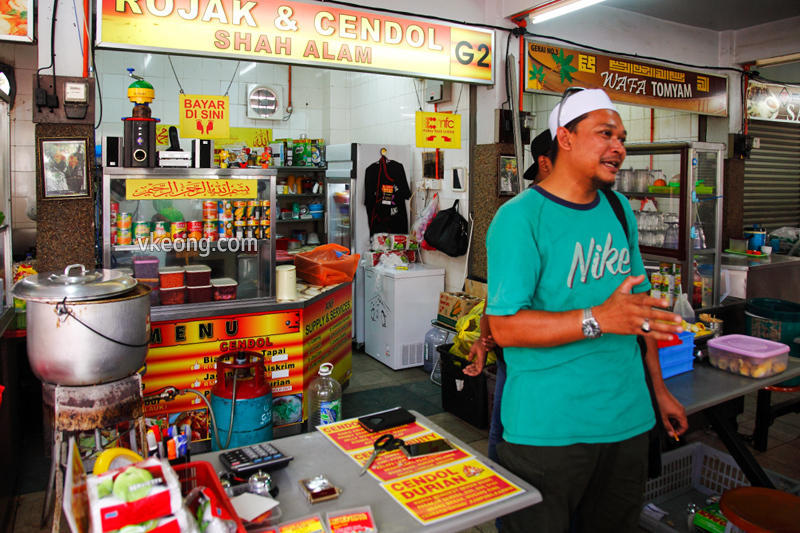 Mohd Hafez Hamed, the owner explaining to the customers about his cendol and the durians he uses. 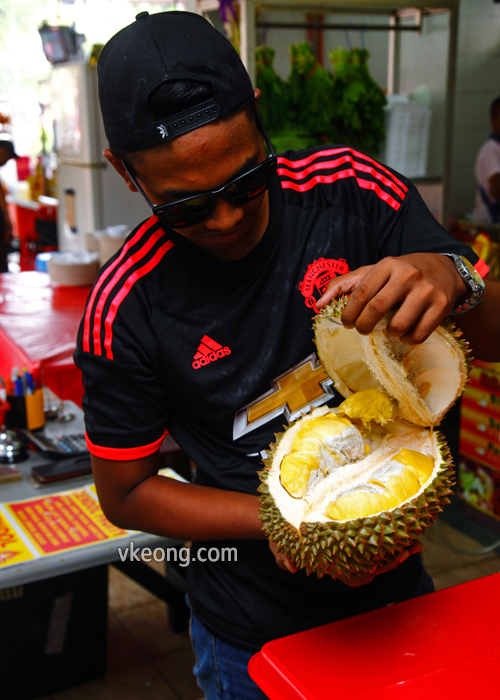 One of the staff showing off the fresh durians they use in their cendol.